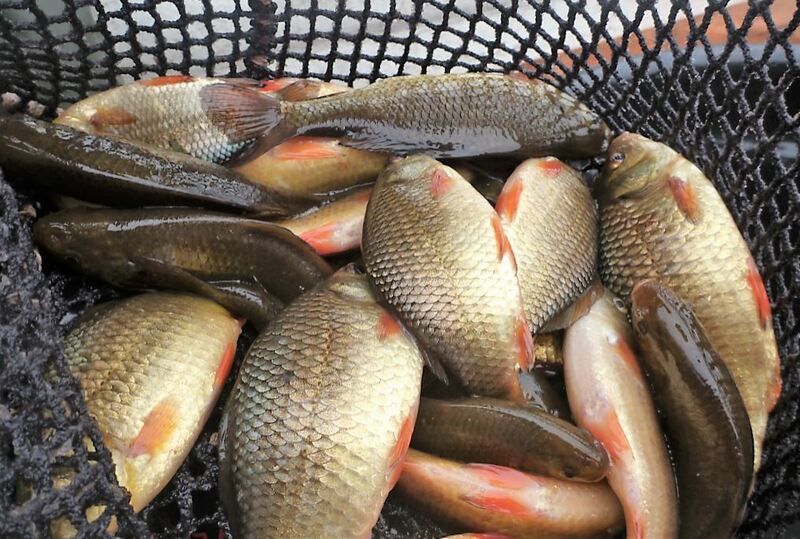 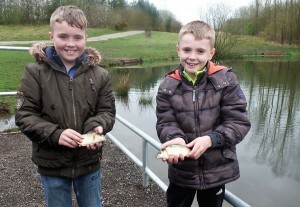 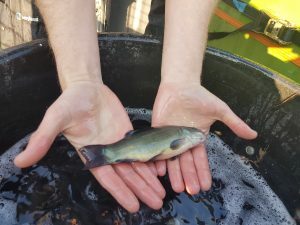 With our grant money we purchased hundreds of small crucian carp – which well go on to breed soon and create a permanent population of crucians in the lake. 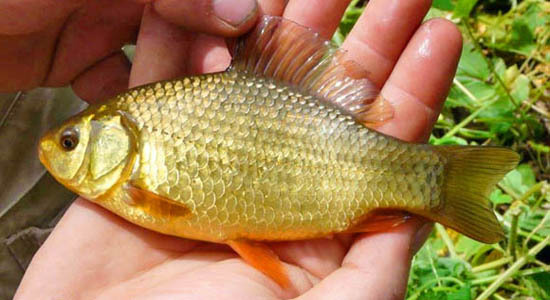 Great news, as it adds another species of fish to a lake which was created in 2000 by the construction of the prison. 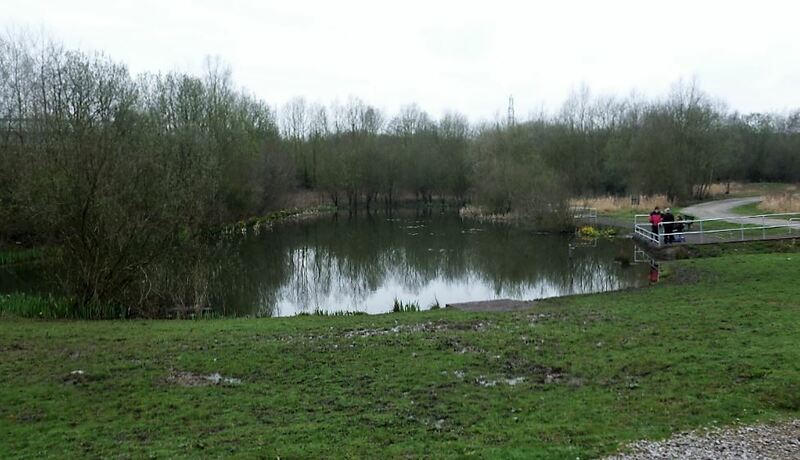 One of our club waters Agecroft Pond has been off most anglers radar for a while now. 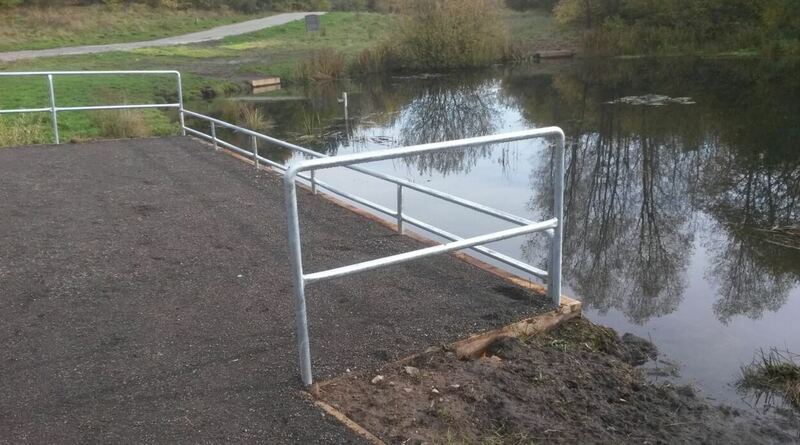 I think that might change !! 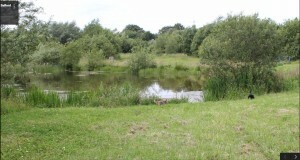 Located behind Forest Bank Prison, is a small lake tucked away, and only has half a dozen pegs. During most of 2015, anglers were denied access to the lake as United Utilities and the Forestry Commission were conducting works nearby. 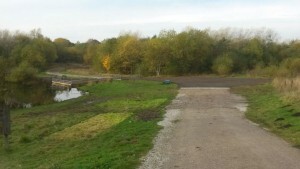 A result of this work was that a new access road was constructed to take the heavy machinery needed to complete their works. Great News – a new access road. These pics show the pond un-improved – and then with the new pegs. 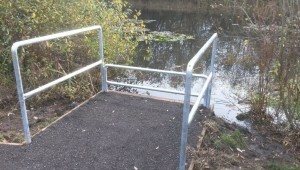 The new pegs are a bit in your face at the moment – but should a lot better with a soon to be applied tin of green hammerite paint. 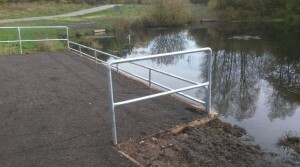 So – now we have a pond with a new road, a car park, new benches and new pegs. Brilliant. 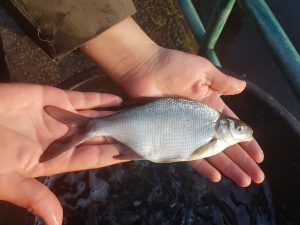 18 months ago we stocked 1000 roach into Agecroft Pond – courtesy of the Forestry Commission. 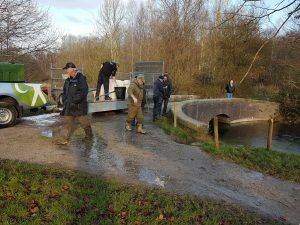 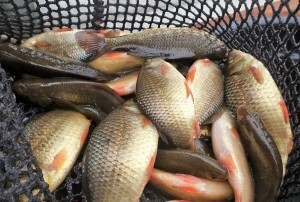 Yesterday we secured a grant from the Salford Community Volunteer Service to restock 200 small carp into the lake. Phil Clayton played a blinder answering the questions from a committee of 9 non fishers – and we came back home last night with a cheque for £750 – which was originally fund raised by people in Salford who wanted to make community improvements in our area. 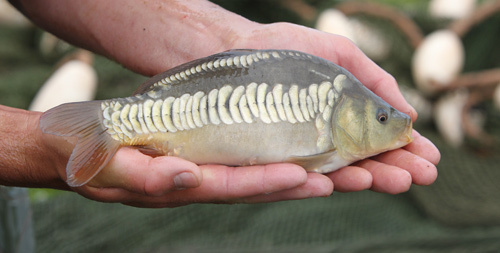 Now we are looking forwards to a re-stocking of carp next week – and seeing the place take off as an angling venue.